What is San Li Tun Village ? San Li Tun (三里屯）Village for Beijing People is very identical with 时尚（shi shang) words, which means fashionable, update to the latest trend. No wonder, because it’s a modern place and nice hang out place for young people. It offers nice, cozy ambiance and give you a lot of choice in food (many nice and *expensive* restaurant here), and a lot of huge shopping stores.. (yes, they are really huge). If you want to go there, and talk to the taxi driver, just say San Li Tun (or you can say San Li Tur, it’s beijing special dialect :p). Beside of the San Li Tun village is Silk Market,a market for clothes/garment, and honestly, me myself (in one year Beijing life) never ever attend that place.. Hehe.. 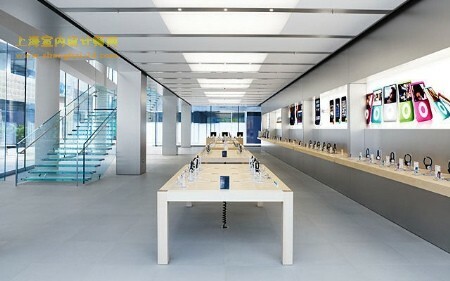 But, many tourists will definitely go there if they join a tour group (Indonesia tour group will go there, I think)..
Well, I also need to copy some photos from Baidu :p so that you can see the Apple Store clearer, since I don’t have those.. I went there for the first time with an impression that it is an expatriate place (has been told that many embassies located near san li tun area).. Indeed, we can find many foreign people, especially from western (well, please include me as foreign people :p ).. So, basically, you can’t really expect there is a cheap food there :p .. Yeah, there is, McDonald :p But the price range for this place is middle-to-expensive. But I do think that it’s worth it. 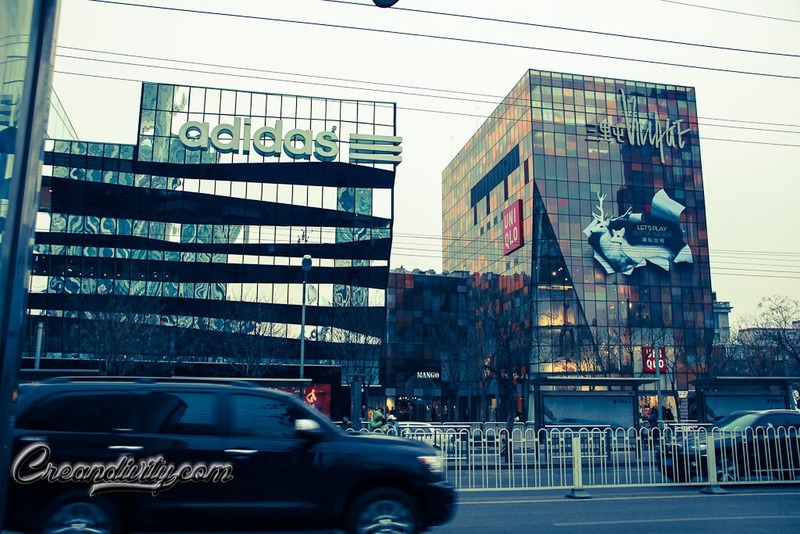 And yes, I was so amazed with this place (until today, I still pretend that it is the best place to hang out in Beijing :D). I once went to San Li Tun in Christmas period, and they had an augmented reality game with very huge screen on the street hall. Very nice..
San Li Tun SOHO is located at San Li Tun Village opposite. 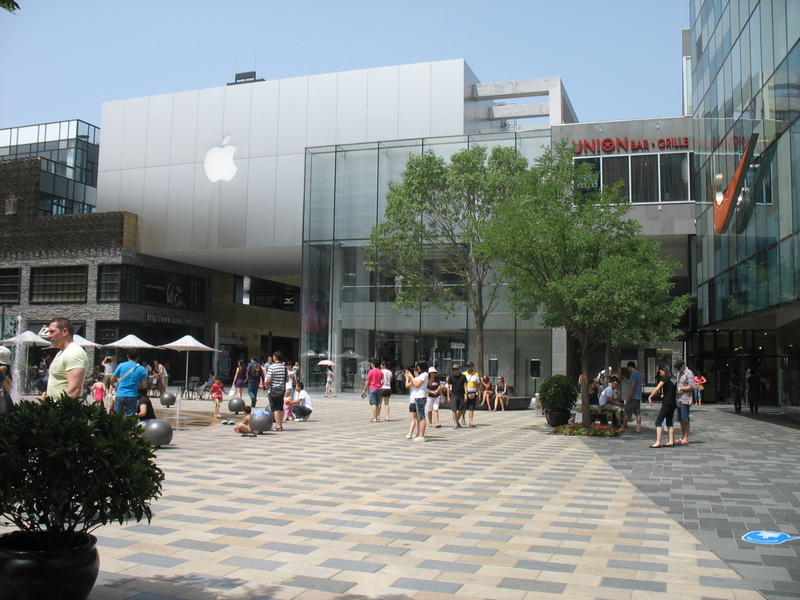 It’s an office complex and has small shopping center. easiest (but most expensive way) of course is by taxi :p .. just tell the driver to go to San Li Tun. by bus, based on my experience, from 紫竹桥东(zizhuqiaodong) bus station, you can stop in 三里屯 bus station with number 701 bus. You don’t need to change bus. by train, you can get to line 10 and stop at 团结湖站 (tuan jie hu zhan). But you will have to walk for about 5 minutes. San Li Tun is also famous for night life (bar, pub, etc). It has several bars (based from my teacher information) there. I never attended one of them.. 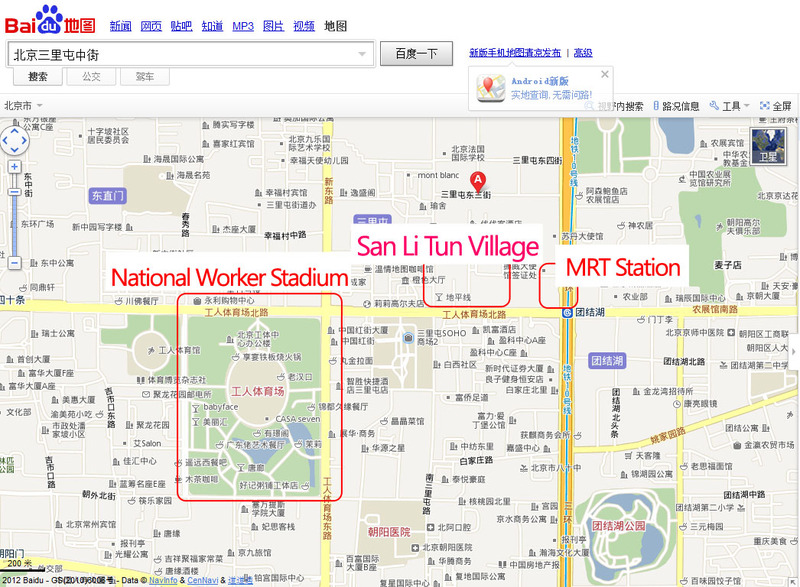 If you walk ahead, leave San Li Tun Village, toward the National Worker Stadium / 工人体育场 (see the far map above), you can also find some bars there 😀 just 5 minutes going straight from San Li Tun Village. 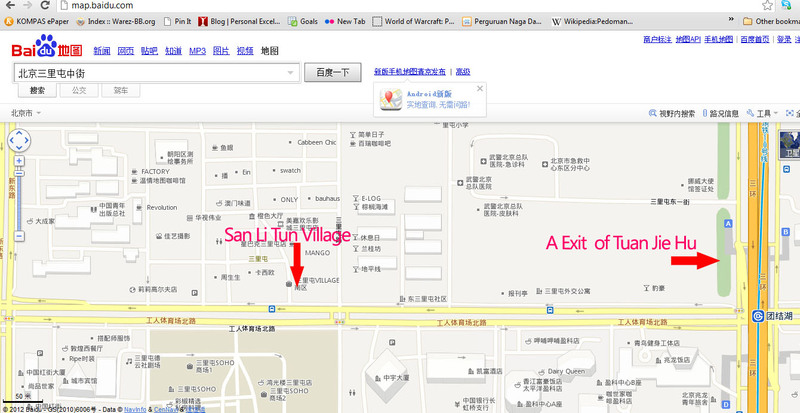 That’s all about my San Li Tun Village Post.